Xolo has finally launched its much awaited tab in the Indian market, the Xolo Play Tab 7.0, the device is priced at 12,999 INR. The availability of the device is still not confirmed. The Xolo Play Tab 7.0 sports a 7 inch IPS display with a resolution of 1280 x 800 pixels(216ppi). The device is powered by a 1.2 GHz quad-core Nvidia Tegra 3 processor along with 1 GB of RAM and 8 GB of inbuilt storage. The Xolo Play Tab runs on Android 4.1 Jelly Bean and features a 2 MP front-facing camera, surprisingly there is not rear camera on the tablet. The Xolo Play Tab 7.0 includes a 4000 mAh battery and Bluetooth, Wi-Fi and Micro-USB as connectivity options. 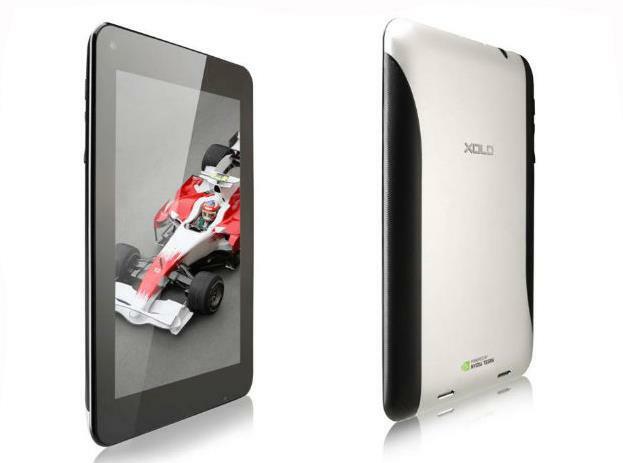 The Xolo Play Tab 7.0 measures 194.6 x 122.6 x 10.6 mm and weighs 338 grams. The tablet does not offers calling facility. Xolo is also expected to launch the Xolo Play Tegra Note later this month.